This class is open to all current and former Writers Studio students as well as newcomers to the school. How do you write a good memoir? You apply the narrative techniques of fiction and poetry: you take the fascinating, messy raw material of your life and build a frame for it. You distill. You find a voice that’s all you but that also offers you flexibility, perspective and the right counterbalance to the story’s content. You tap into your emotions to give your story energy and urgency. What’s the best way to start? In this six-week class, we will do close readings from an assortment of wildly varied but equally powerful memoirs – by memoirists ranging from Claude Brown to Annie Dillard — to see how authors have solved these problems for themselves. Then you will try out these methods for yourselves to see which ones fit you best. All the readings and exercises will be provided in the online classroom. You will write two double-spaced pages every week and provide weekly feedback to your classmates. Everyone will receive regular critiques from the teacher. The final week you’ll have a chance to continue one of the exercises. There will also be an optional weekly one-hour typed chat reserved for talking about writing and asking questions of the teacher. Taught by Michele Herman, one of our long-time online teachers. 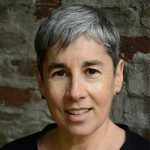 In addition to years of experience teaching fiction and poetry using The Writers Studio’s methods, Michele holds an MFA in nonfiction writing from Columbia University and divides her writing time among fiction, poetry and nonfiction. Michele has published short stories and essays in The New York Times, The Sun, Diagram, Lilith, ACM, Pearl, The Worcester Review, Columbia: A Journal of Literature and Art, Outside In Literary & Travel Magazine and other publications. She is an award-winning columnist at The Villager, the Greenwich Village weekly paper. She was a semifinalist for the 2016 Raymond Carver Short Story Contest and recipient of the 2015 Willis Barnstone Translation Prize. In addition to teaching Level I Online and many tutorials at The Writers Studio, she occasionally performs her own work in cabaret and theatrical settings.